During this Money Management series, I received a couple of really challenging questions so I’m going to do my best to address the issues requested! Q: You quit Facebook to stay off the Internet. Now you’re writing more. How is that not taking time on the computer? I quit Facebook to help me be more intentional with my time. I can spend 45 minutes browsing my news feed or I can spend that same 45 minutes writing an article or playing with my kids. I’m choosing one of the latter. 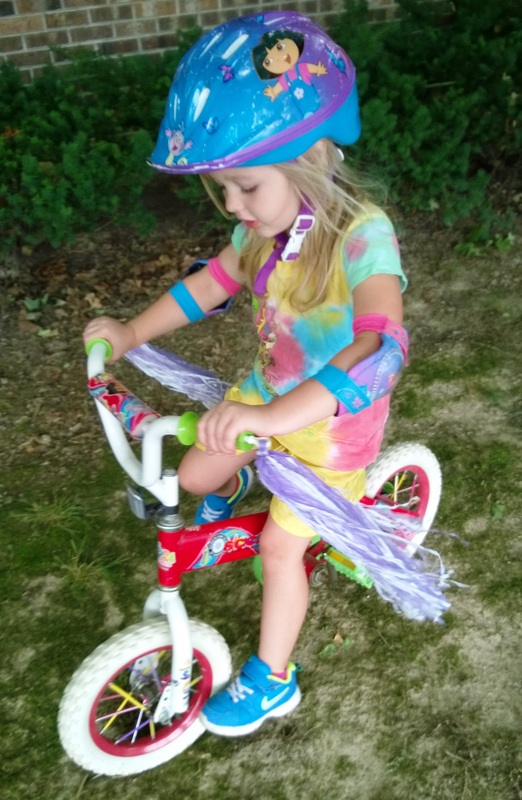 Q: How do you work from home and still spend time with your kids? But, since I was asked, I’ll tell you what I’m working on. First of all, I highly recommend reading the book, “Balanced: Finding Center as a Work-at-Home Mom” by Tricia Goyer. It’s only $2.99 right now and is hands-down the absolute best book I’ve ever read about balancing work and motherhood. I felt like Tricia was giving me the permission I needed in order to make time for doing something I love outside of being a mom and wife. Secondly, I’ve learned that to be successful at working from home, I have to get up early. I can accomplish more in 1-2 hours of work time before my girls are awake than I can accomplish in an entire morning after they’re up. I’ve also learned to utilize quiet time well. I can knock out a couple small projects after lunch while the girls quietly look at books for an hour or so. When needed, I can also work after the kids are in bed at night. I’m currently trying to limit evening work to two nights a week because nurturing our marriage is a top priority for my husband and me. Finally, I’ve learned to give myself grace. Some weeks I work too much. Other weeks I don’t work enough. If I were to give up on things just because I don’t have a perfect schedule, then I would never accomplish much of anything! I simply choose to keep on trying. Want to read more about time-management? Check out this post about working from home. Q: Do you believe that women working outside the home is a contributing factor for why the divorce rate has dramatically increased over the last few decades? For starters, due to huge advances in the workplace in the last 50 years, many women earn an income so they’re no longer dependent on their husbands for financial survival. And even women who don’t currently earn an income know they could if they needed to. Also, many women are in the workforce for long hours, completing projects, accomplishing goals, and often working closely together with those of the opposite gender while simultaneously spending less time with their husbands. The large chunk of time that are spent completing tasks with male coworkers and succeeding together builds bonds that, if left unchecked, can become romantic. Does this mean I think that every dual-income family is an affair waiting to happen? Absolutely not! It just means I believe that people need to be aware and mindful of their decisions as they take precautions to protect their marriage. Two great books about this are “Every Man’s Battle” by Stephen Arterburn and Fred Stoeker (for men to read) and “Every Woman’s Battle” by Shannon Ethridge and Stephen Arterburn (for women to read). On a more personal note, I found that when I worked outside the home, it put a large strain on my family and on my marriage. Nathan and I would came home from work already tired and the girls would need our attention, everyone was hungry so someone had to cook, and there was always something around the house to accomplish (like taming the laundry monster). The thing is, however, that I didn’t realize how much of a strain it was for me to work outside the home until I was no longer doing it. Now that I stay home, I’m generally able to spend time with the girls and take care of the house during the day, as well as cook dinner before Nathan arrives home, so our evenings are usually much more laid back as we relax and simply enjoy being together as a family. Am I saying that every mom needs to stay home full time? No. I know some women are refreshed and energized by working outside the home (instead of worn-down and exhausted like I was! ), and I know that sometimes, both parents working is a necessity (although not nearly as profitable as some may think). The important thing is to be intentional, communicate openly with your spouse, and make time for nurturing your marriage (monthly dates and yearly small getaways are helpful). Also, be truly honest with yourself about your motives and your finances. That wraps up this Money Management Series! Do you have any additional money-management or work/staying-home tips? 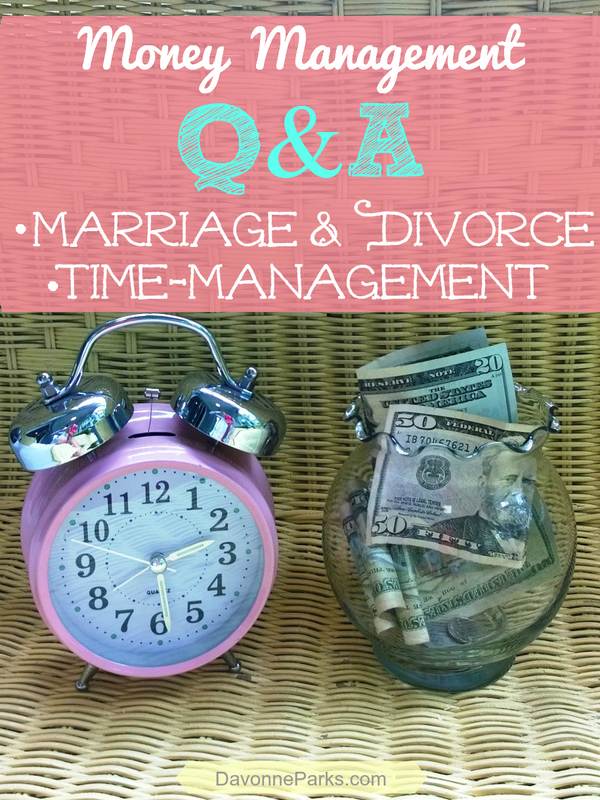 Part Four: Question & Answer Session (Marriage, Divorce, and Work-from-Home Time Management Tips). « 18 Summers: How Many Do You Have Left?